Bhutan, the small Himalayan country resides between two most populated countries of the world, India and China. It may be a small country with some 770 thousand people, but its care for the environment and measures to handle global warming are simply overwhelming. 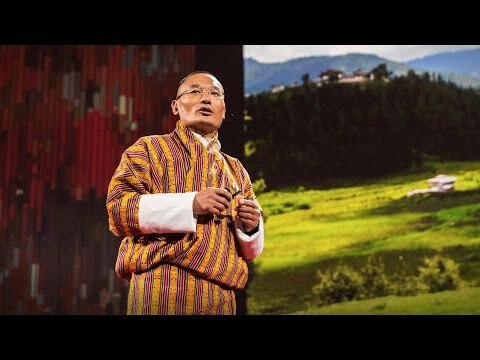 Here’s the video, where Bhutan’s Prime Minister Tshering Tobgay shares his country’s mission to put happiness before economic growth and set a world standard for environmental preservation. It is indeed a great response from a small country like Bhutan. It was in his talk, he revealed that 72% of Bhutan’s land is forest covered, where as it is particularly mentioned in Bhutan’s constitution that 60% of country’s land should be under forest cover. That’s how, this small Himalayan country has become world’s few remaining bio-diversity hotspot. Watch this illuminating video, to know what Bhutan is doing to be carbon negative. If you really care for the environment, do share this video and tag others, so that this video reaches to the maximun.